An international standard for health and safety may sound like a good idea to a lot of people, but the current proposals for one would be bad news for many workers. 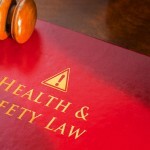 The International Standards Organisation (ISO) is developing a standard, called ISO45001, for the certification of employers health and safety management systems, but throughout the process the standard has been met with strong opposition from international employer and union bodies on the basis that this was a matter that should be dealt with through social dialogue and through regulation. They also believed that the issue of international standards on labour issues was a matter for the International Labour Organisation who have developed 13 conventions on health and safety that have been agreed by trade union, employer and Government representatives from across the world. A new draft of ISO45001 has recently been published, and is out for consultation with voting taking place between 19th May and 13th July. Last year an earlier draft was rejected following criticism from a number of countries and organisations, including the European Trade Union Confederation. There is a detailed analysis of that draft, along with a history of its development here. Despite considerable criticisms of the overall structure and content of the first draft, the second draft does not make many substantial changes and few of the overall criticisms of the structure of the standard have been addressed. Now unions are not against standards. In a time of increasing globalisation and deregulation, we need strong labour standards. In many countries international standards can make a real difference to the safety of workers, but this standard is not one that is being agreed between governments unions and employers as ILO standards are, it is being developed by a standards committee made up of representatives of the various national standards bodies. It is these national committees that are being asked for a view on the new draft. There is no public consultation even though it will potentially have a major impact on workplaces. You only have a say if you are a member of one of the national standards committee and anyone else will not even be able to read the new draft without paying £30. Most standards committees are dominated by consultants who have their own commercial interests at heart because they stand to make a lot of money from selling their services to companies that will want to show that they are certified. That is why the ISO is developing this standard. It is so that employers who want to be able to say that they meet it will have to get “certified” to by an external audit. 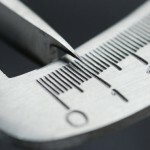 There are similar standards in areas like quality management. I did a more detailed criticism of the standards process a couple of years ago for Hazards magazine. This process that has been used to develop the new draft means that the structure, language and content was not developed with the primary aim of improving the health and safety of workers, but to ensure that there is a compliant health and safety management system for the employer which can be externally audited (by a consultant) and that fits in with other ISO standards. Because of the nature of the standard, unions are concerned that when an employer is audited, so they can put that they can put on their letterhead that they are in compliance with the standard, the auditing will look, not at the levels of protection given to workers and the public, or at the record of the organisation, but instead at the administrative systems that are in place. If they meet the requirements of the standard then that is sufficient, and employers, potential clients and even regulators will think that they have a safe workplace. That is a very real concern. Across the entire globe, governments have indicated a desire to consider greater self-regulation. It could be that they will consider using certification to ISO45001 as evidence of compliance with whatever health and safety laws there are, even though it is clear that achieving certification will be no guarantee of meeting the requirements of national legislation, let alone having a safe workplace. But if the standard is better than what a lot of people have at the moment, does that matter? Well there are some really troubling parts of the draft. It is also true that there are some good parts as much of it reflects the kind of model for risk management that would be expected from a health and safety management system, but it falls down badly in some very important areas. Consultation and worker involvement is one area where the standard is not nearly as strong as you would expect. We know that unionised workplaces with safety committees have serious injury rates of around half those of other workplaces so it is a pretty important issue. Yet the draft standard says that worker participation should involve “considering the need to establish health and safety committees, together with providing support for their functioning.” According to the draft, the word “consider” means “it is necessary to think about but can be excluded” so all that has to have happened is to have it discussed. The draft does say that employers should establish and implement processes “for consultation and participation of workers”, but there is nothing to say that these have to be effective processes. Simply having any process will be deemed OK when it comes to certification whether they lead to participation or not. The biggest problem is what the draft standard omits. There are some basic things that any trade unionist or safety professional would have expected to have been taken for granted that are missing, and these are major issues. For example, there is no requirement for employers to provide Personal Protective Equipment (PPE) free of charge for instance. It merely says that in some countries this is a legal requirement. The same is true of health and safety training where there is no requirement to provide it in the employer’s time and at no cost to the worker, just a non-binding note encouraging this. This means that employers will be able to get certification without providing free training or PPE. There are those that say that we should support the standard as it may raise safety levels in developing countries. 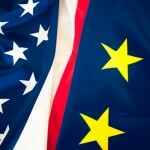 It is suggested that companies in Europe on North America will be able to insist that their suppliers meet the standard. Yet we know only too well that unless standards have teeth they are just ignored by the companies that are operating the sweatshops making our mobile phones or our clothes and the companies that import them have shown little willingness so far to ensure that existing international labour conventions are met. But even if the standard were to be used, can we seriously say that workers abroad should not have a right to free safety training? Or protective equipment? During the consultation there will be those that will be arguing that the existing draft is too strong, while others will seek to improve it. We have to be ready to work with those who want to improve it but the bottom line is that I hope that trade unionists and safety practitioners across the globe will put pressure on their standards bodies to reject this draft because even if it is improved it will still be flawed because of where it is coming from. The real indicators of a strong safety system are effective risk management, good outcomes, and full consultation and involvement with unions, underpinned by strong regulation and enforcement activity. That is why trade unions want strong regulations and strong enforcement, not voluntary standards that are developed for commercial reasons by people who want to be able to make money from auditing or certifying the standard.